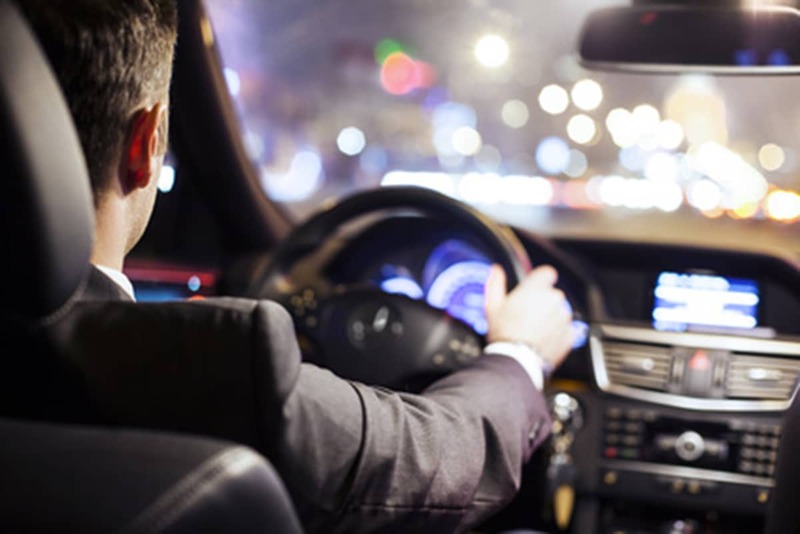 You might think driving at night essentially requires the same set of skills as daylight driving, yet the hazards vary markedly, so you should take extra measures to stay safe. Here’s a quick outline of the main night-time driving hazards and some top tips to keep you and your passengers out of danger. Stopping a vehicle in a poorly lit, unfamiliar spot to take a drink, check a map or look for change for a toll road makes you a prime target for opportunistic robbers, so be prepared. Take large bottles of water with you, route-plan ahead, and if stopping at all, choose well-lit public places; if making a lengthy trip, consider planning your stopping points ahead. During planning, try to avoid routes via city and town centres late at night, especially on weekends. This is the major ‘trouble time’. Good forward-planning also means getting plenty of quality sleep so you can drive without the fear of nodding off. Fill up ahead and–during the trip–visit a fuel station to refuel well before your indicator drops into the red zone. This gives you leeway on where to refuel; should you pull into the first garage and see it’s full of rowdy youths, you can drive to the next. Ensure car doors are locked while driving; even pulling up by traffic lights can make you a robbery target. Many drivers hesitate to lock their doors during transit because it makes access harder in a collision. Remember that all emergency services have equipment to safely break vehicle windows without injury to the people inside the car. If passers-by see you in a collision and try to help you out of your car, it’s usually not advisable anyway. If you’re so badly injured you cannot even unlock your doors, you’re too badly injured to be moved. Of course, they can still smash a window to give emergency first aid but it’s less likely they’ll try to extract you, and that can only be a good thing. In case the door locking mechanism gets damaged during a collision, trapping you inside, carry a tactical torch or similar. However, check that your ‘tactical’ escape item is not considered an offensive weapon in the country of travel. You just need something that can break a window in a genuine emergency; most metal torches do the trick, even if not designated ‘tactical’ items. Ideally, you’ve selected your rest stops ahead, based on route research. However, there’ll be impromptu stops too, so choose public spaces like open garage forecourts, near a police station if you’re in town or motorway services where you can park close to the doors. Try to park right under a CCTV camera in a light area; you might want to doze for a while but it’s better to park under the lights and sleep less well than to choose a dimly-lit spot. If staying a while, ask service station personnel to keep an eye on you on their CCTV. Hide valuables in the boot of the car before sleeping; thieves under the influence of drink or drugs won’t care that you’re still in the car; they’ll still break in for that tempting iPad or laptop. Keep the car keys concealed under the seat. Don’t step out of your vehicle, roll down the windows, unlock the doors or switch off your engine or lights in dark or peripheral spots unless there are many other responsible-looking people around. Countryside lay-bys and city centres are not places to pull up in the hours of darkness, either. At night, don’t park near entrances right by the motorway exits, as tired and novice drivers often drive too quickly into service station car parks, accidentally ramming parked vehicles. It’s even more likely when they’re tired or have been drinking. Leave side lights or parking lights on when it’s dark, even if you’re parking for half an hour. Many fatal collisions happen on major roads at night and in lay-bys, all because drivers turned off their lights. It only takes a patch of fog, a truck’s blind spot, a mist or a sudden downpour to obscure a driver’s view of you. If you really must exit your car in the dark, carry or wear something fluorescent. Keep a torch with new batteries in the vehicle, as well as a warning triangle and hazard lamp. Many drivers have fluorescent items and warning lamps in their car boots at the time of a vehicle breakdown but fail to use them because they’re ‘in a hurry’. Your journey will be far more delayed when a collision happens, and you could lose your car or your life. Taking a few minutes to extract visibility items from the boot is an exercise worth doing. At night, criminal drivers may not have their lights on, deliberately or accidentally. Although that long stretch of A-road looks clear, you don’t want to wake in the rear of an ambulance having slammed into the back of a car at full speed. Give thought to the terrain in which you’re travelling, and whether it’s urban or rural. In urban areas, you may have to contend with joyriders whose favourite time is between midnight and dawn. In the countryside, you might see wildlife that doesn’t rear its head in the day. Just because fewer motor vehicles travel at night, it doesn’t mean the road is hazard-free; you may have to give way to a deer, a badger or errant cows. If you hit a deer or badger at 30 m.p.h., you’ll still be the one who comes off worse. Be aware of low hedgerows too, as deer and horses can leap them and end up on car bonnets in the night if spooked by something. Being equipped for unforeseen emergencies means exactly that. If you are not a frequent night traveller, something may catch you off guard. If you travel a lot at night, carrying safety aids should be habitual anyway. In your night-time emergency pack, keep a first aid kit, water–so you don’t have to stop and buy drinks–at least one phone with charged battery (ideally, keep one in the car as a spare, should your day-to-day phone get lost or stolen), a blanket or two, two hazard lamps and a torch, your fluorescent jacket and a notebook and pen should you need to note anything suspicious. Keep a copy of your insurance and driver’s licence in case you’re stopped by the police or involved in an incident. Ensure your satnav unit is updated regularly and is fully charged. If someone appears to have broken down, been involved in an accident or appears by your car looking disoriented, lost or helpless, drive on and don’t slow down. Call the police from the next public place, notifying them of the incident. Similarly, if someone bumps into your car at night in their vehicle, if you feel at risk then note the location and drive to the nearest town centre police station or garage to report the incident. Although leaving the scene of an accident is a criminal offence in the United Kingdom, there are criminal groups who will deliberately bump cars from the rear or stop suddenly ahead, getting you to stop so they can take your possessions or your car. Especially if you’re female, alone, or it looks like there are several people in the other vehicle, it’s better to drive to a safe spot and urgently report what’s happened. Do not drive home or continue to your destination; you must report the incident to the police before doing anything else, or you’ll risk being considered a driver who failed to stop. Remain aware of what vehicles are around you and who is in them; drivers without seatbelts and fast cars filled with young men are bad signs, so give these lots of space to pass. Tell someone where you’re heading and what time you expect to arrive. Even if you just tell a friend who’ll be sleeping while you drive, they can agree to check their SMS on waking up, to see that you made it to your destination. 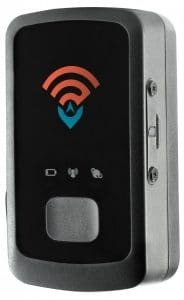 If you’re a regular night-time driver or have to take unusual trips to isolated or high-risk spots, consider placing a GPS tracker on your own vehicle and giving someone access to the data when you’re in transit. This is a fail-safe way to ensure someone knows the progress of your trip as it unfolds; it’s also very useful for monitoring teen drivers. You can buy and run a tracker with live data for under £300 per year. 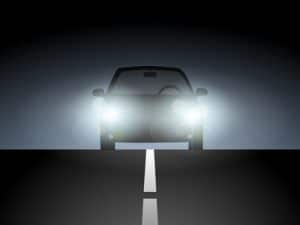 Night-time driving can be pleasant, and certainly, it’s more expedient than sitting in a daylight or rush-hour traffic jam, but adhering to good planning is vital to avoid potentially becoming a victim of the darkness. Most trips, even at odd hours of the night, pass uneventfully and smoothly so you do not need to panic or worry; just take it easy, and take precautions.